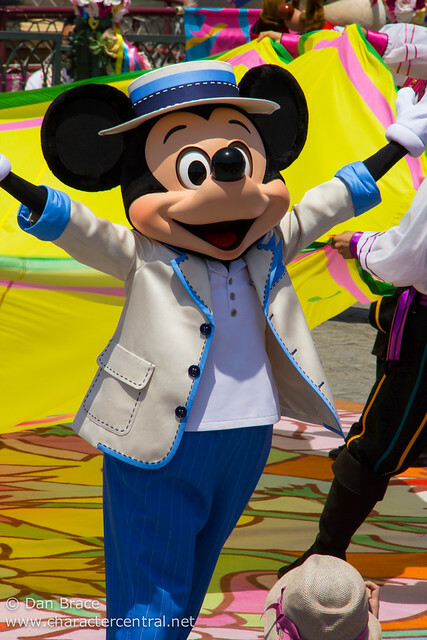 From tomorrow the Walt Disney World Resort begins their Mickey 90th Birthday celebrations, which means that there are some character changes around the resort, particularly at the Magic Kingdom. 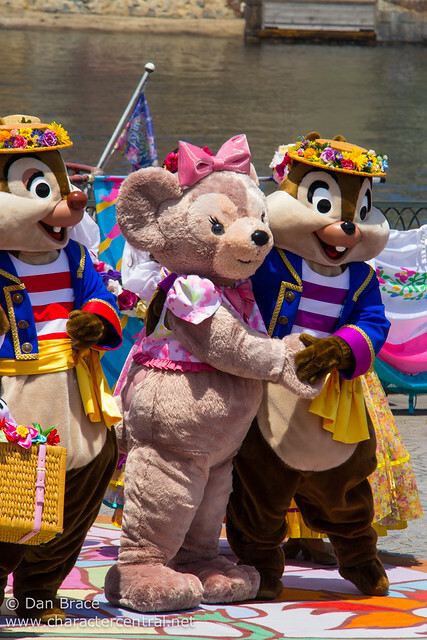 Since the official WDW website states there'll be "surprise character visits", a lot of sites have already reported that there will be a sort of "random-rotating" schedule of characters that will replace Chip, Dale and Pluto at the flagpole in Town Square, since Pluto is moving to the Silly Sideshow, and Chip and Dale will be in the new street party. 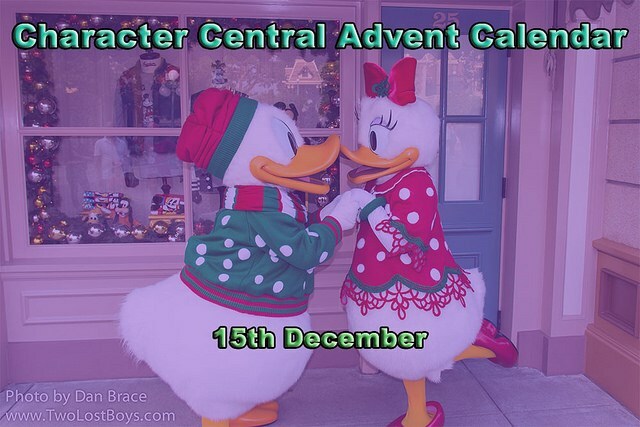 I have my own speculation as to what we can expect to see at these new character appearances, and thought it would be fun to share with you all here. 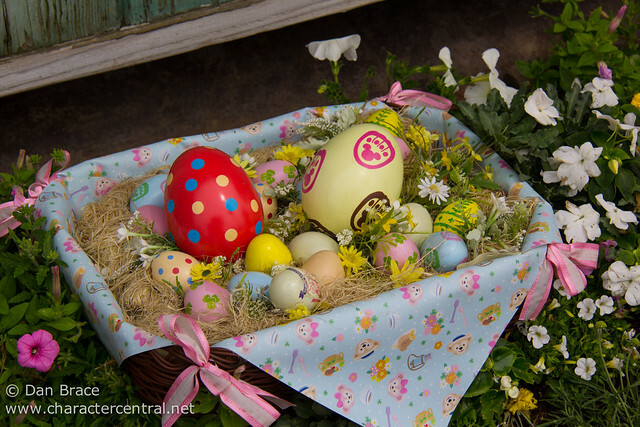 I realise this is about 11 weeks late, but better late than never, right? 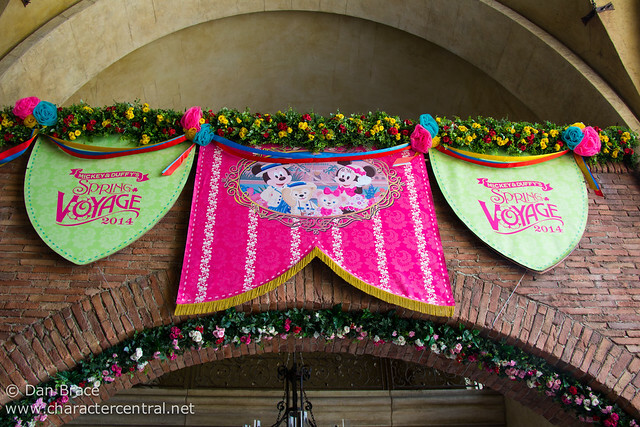 Back in December we attended the DVC Moonlight Magic event at Epcot. 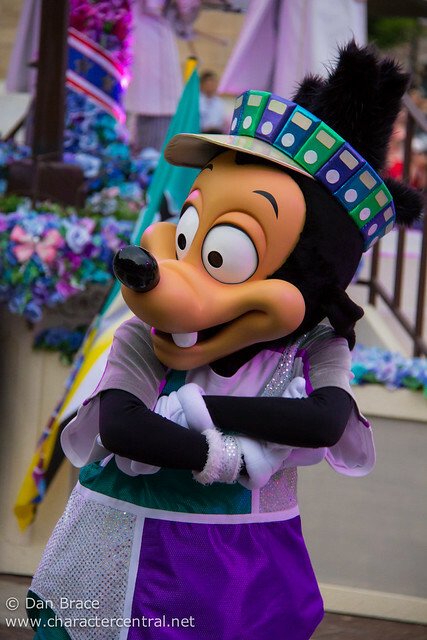 It was a fun evening with some great characters, but other than that, I don't have a lot to say about it at this point, since it was over two months ago, but I thought it would be fun to share some photos from the evening anyway. 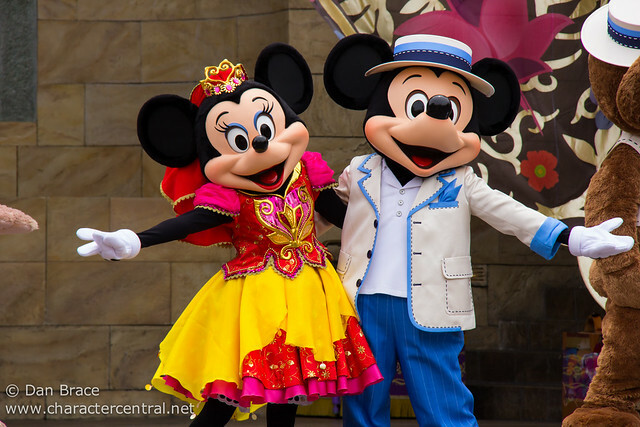 This week has been a particularly good week for character news, with lots coming out of Disneyland, Walt Disney World, Tokyo Disney Resort and Disneyland Paris. 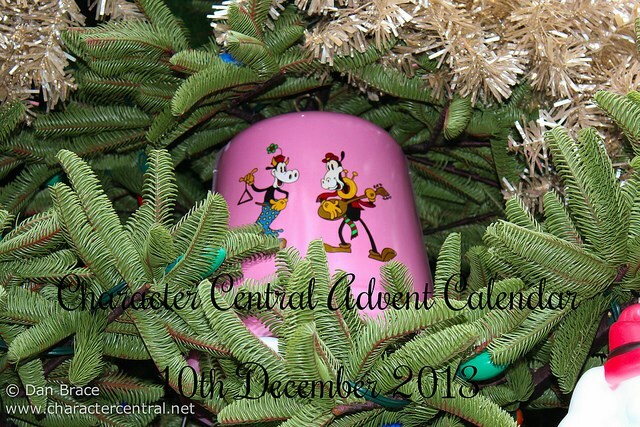 It's the 15th December, so it's time to find out who is behind today's door of our very special Character Central advent calendar! 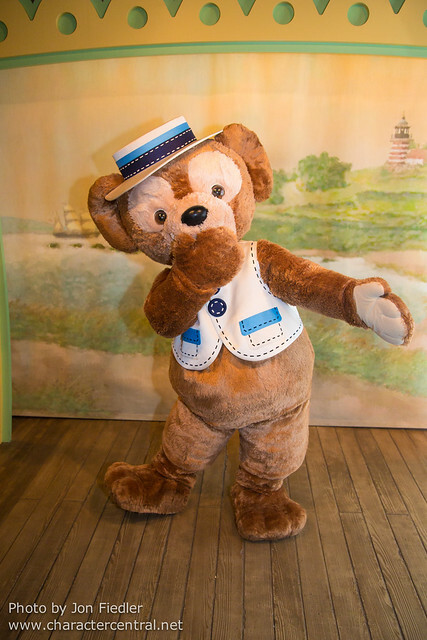 Today is National Teddy Bear day, so to celebrate I have put together some of our favourite pictures of some of the teddy bears you might find at the Disney Parks around the world! 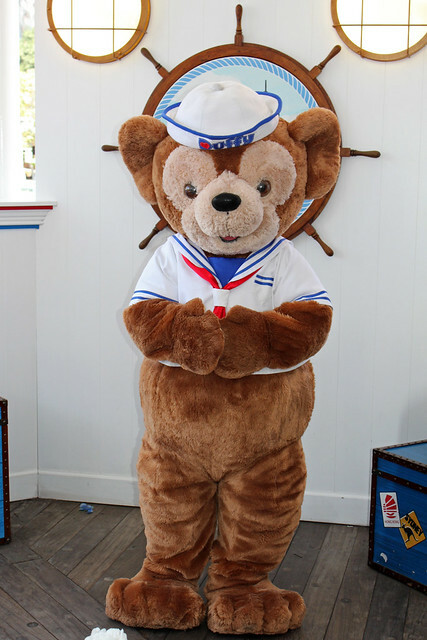 Happy National Teddy Bear Day everyone! 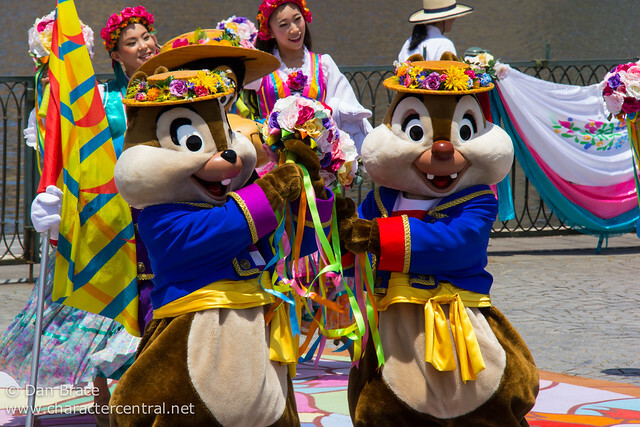 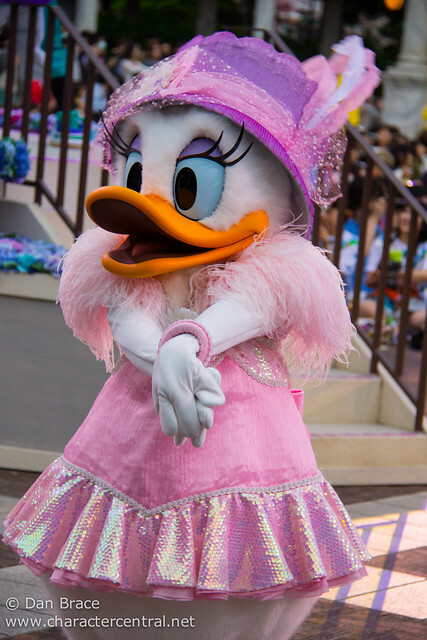 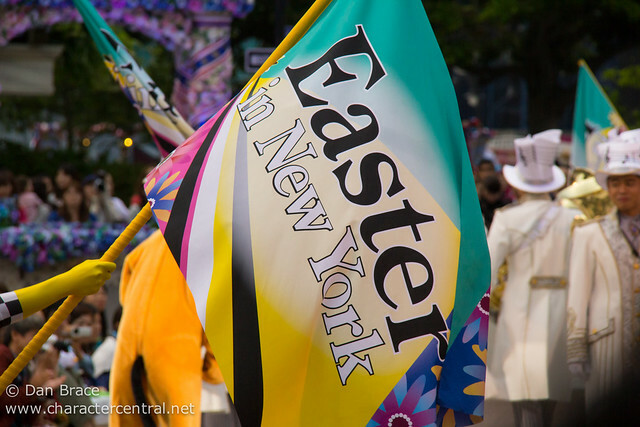 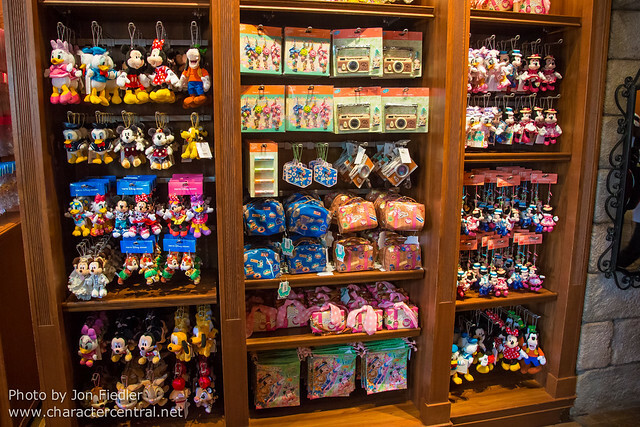 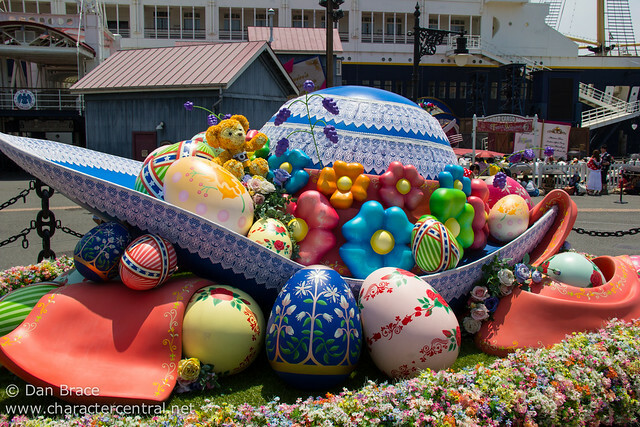 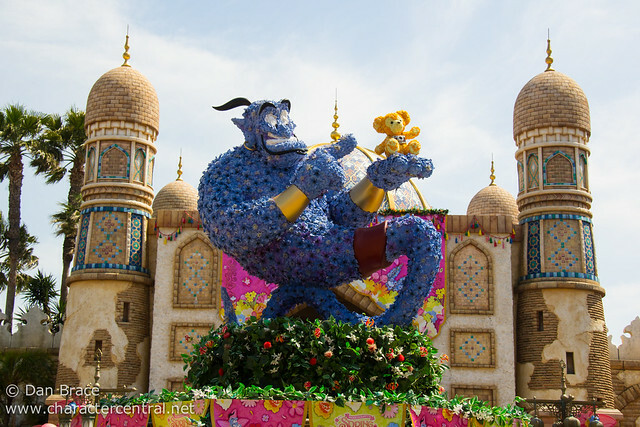 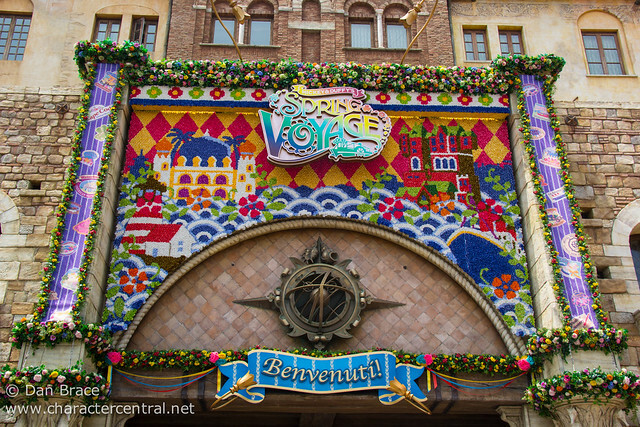 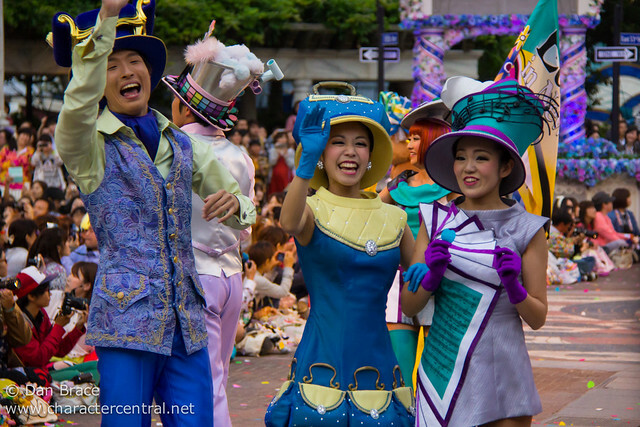 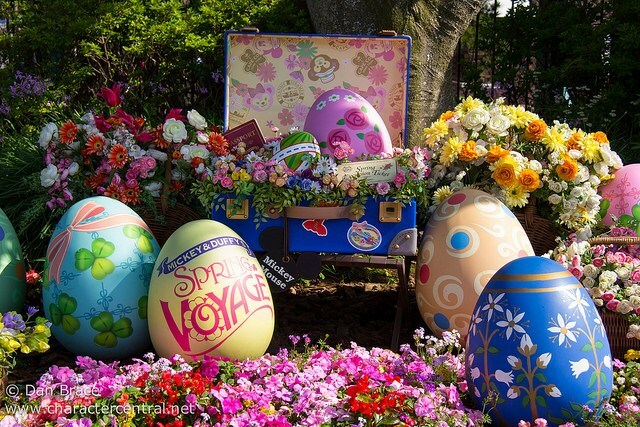 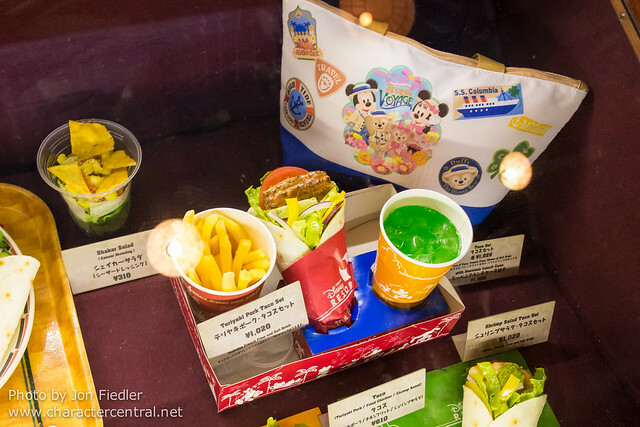 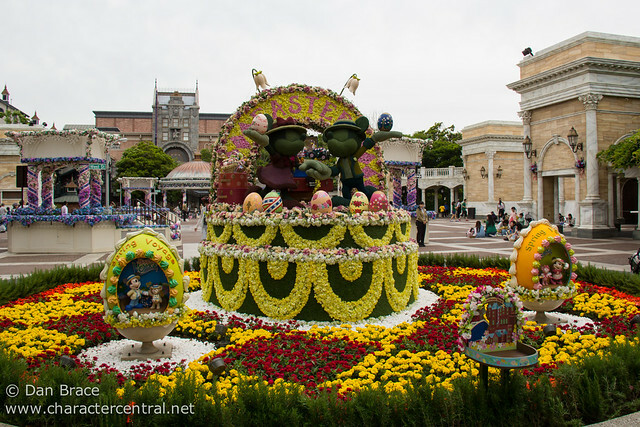 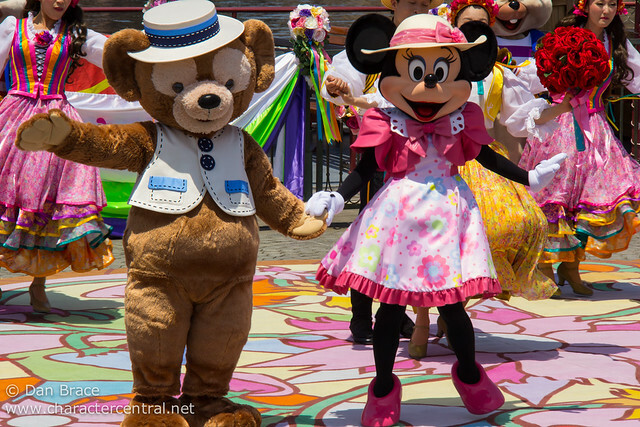 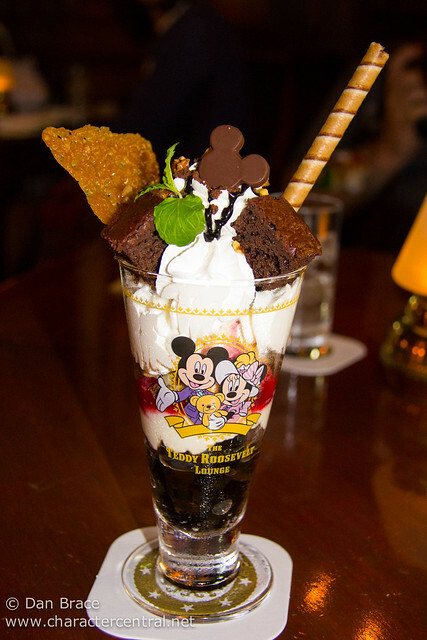 Earlier I showcased Disney's Easter at Tokyo Disneyland, which you can view here. 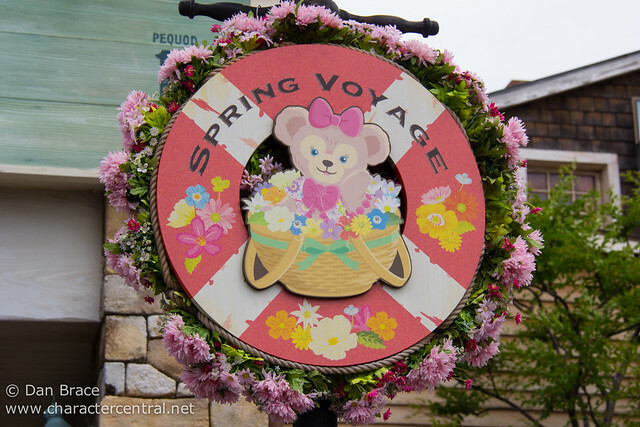 Along similar lines, until the 23rd June this year you can experience Mickey and Duffy's Spring Voyage at Tokyo DisneySea, the second theme park at Tokyo Disney Resort, Japan. 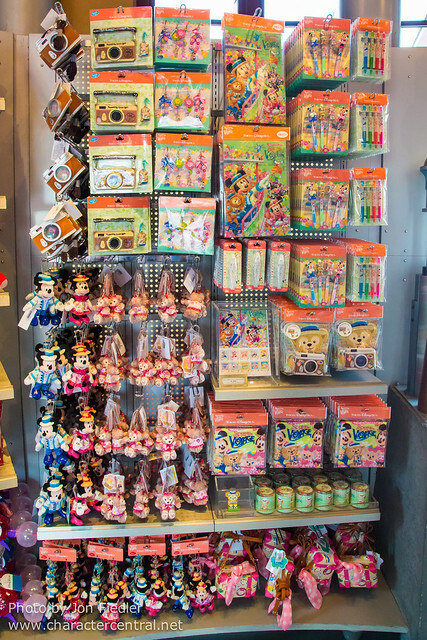 Here is a roundup of what you can expect to find at the park during this time. 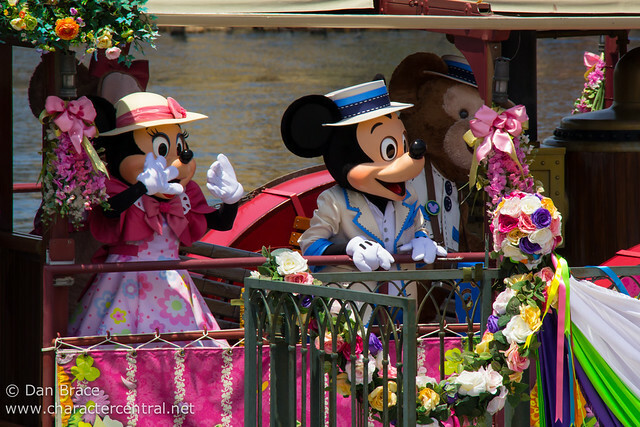 All photos here were taken just last week (end of May 2014). 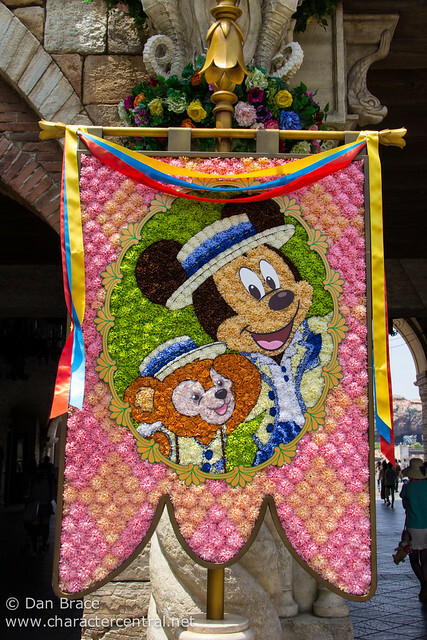 Mickey and friends have arrived in the Mediterranean to a wonderful celebration of spring. 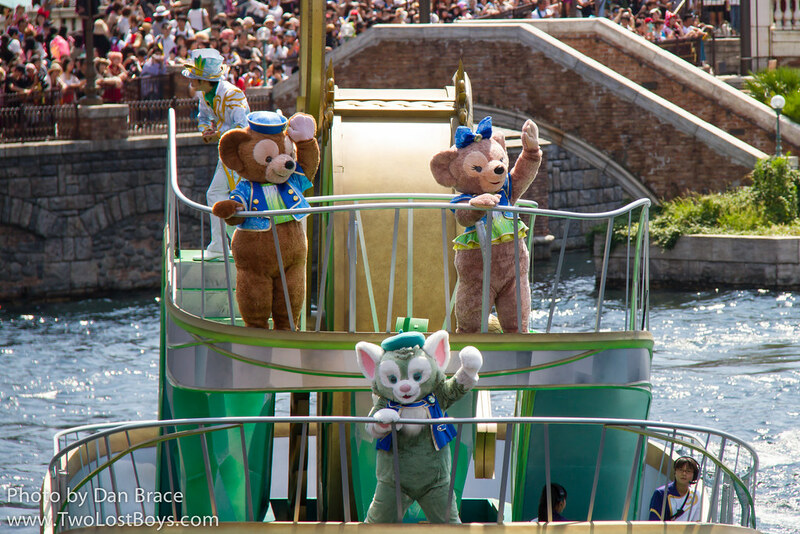 Presented several times per day at the Lido Isle area, it fills up quickly and people will wait all day for the show, so be prepared! 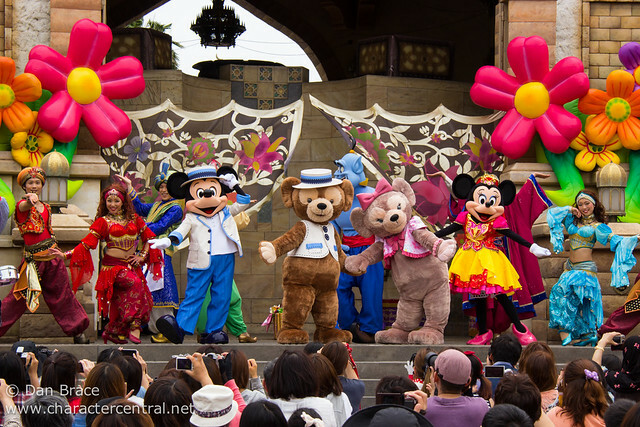 Mickey and friends have arrived in the Middle East to an enchanting, magical celebration of spring. 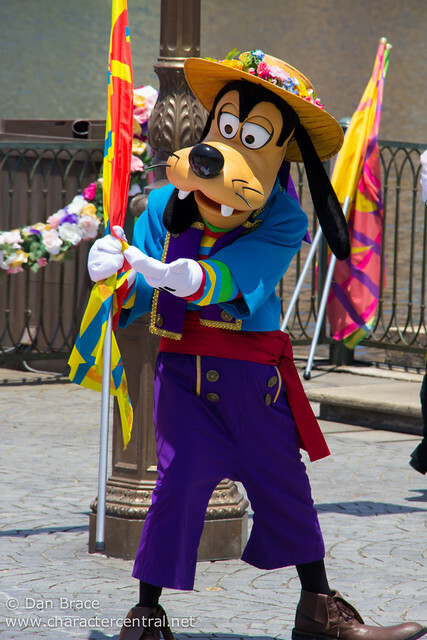 There are some neat tricks in this show! 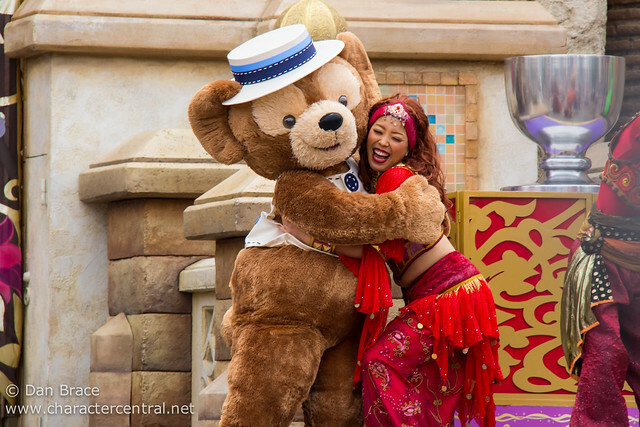 Presented several times per day at the Arabian Coast courtyard, it fills up quickly and people will wait all day for the show, so be prepared! 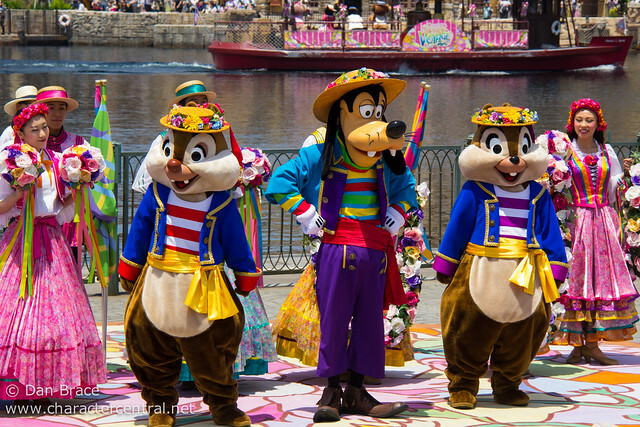 Mickey and the gang visit New York and discover the more contemporary music and dance styles of America. 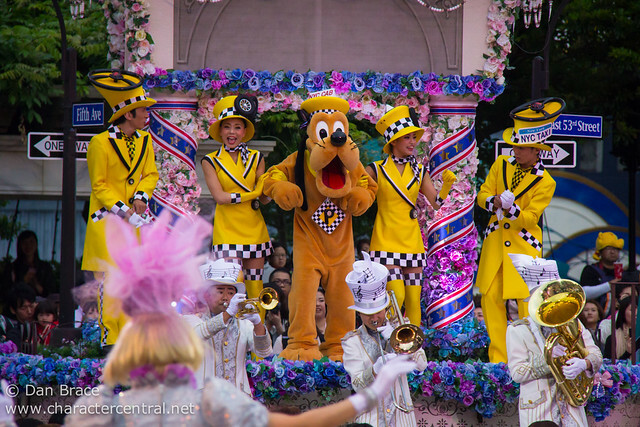 Although it's unlike any New York I've ever seen, it's definitely a lovely show! 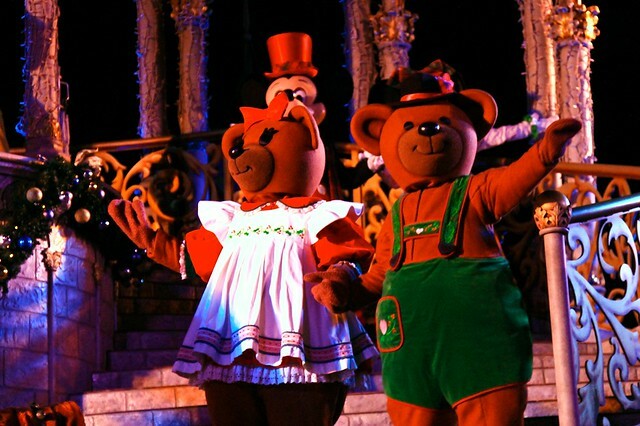 Presented several times per day at the square in front of the Tower of Terror, and as with the other shows, it fills up quickly and people will wait all day for the show, so be prepared! 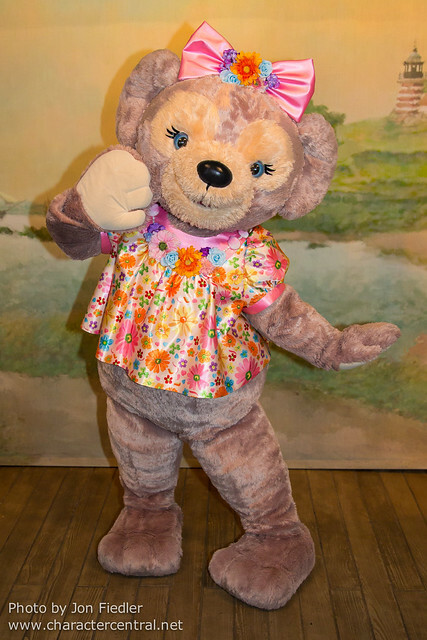 During Mickey and Duffy's Spring Voyage at Tokyo DisneySea you can meet Duffy and ShellieMay in really cute spring outfits. 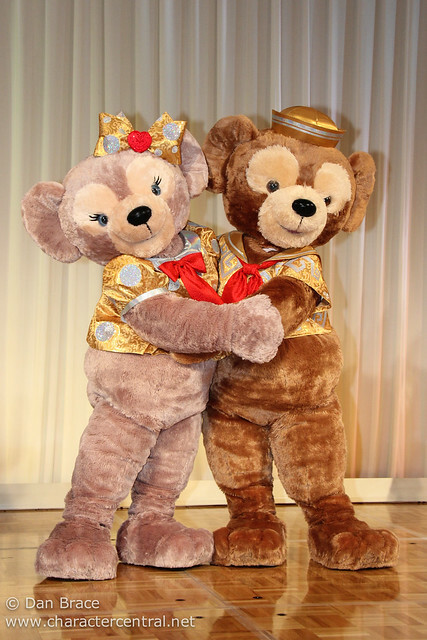 This year they got new outfits. 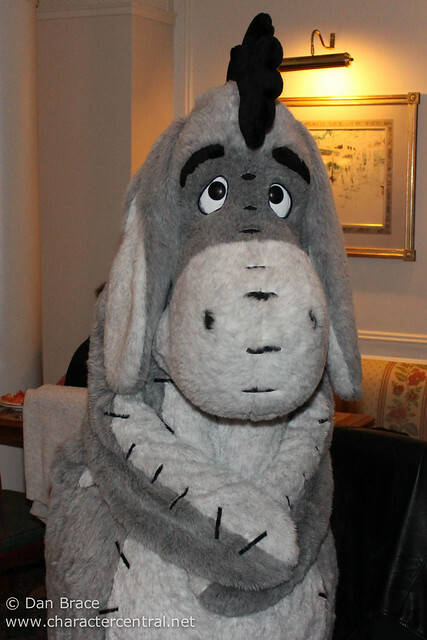 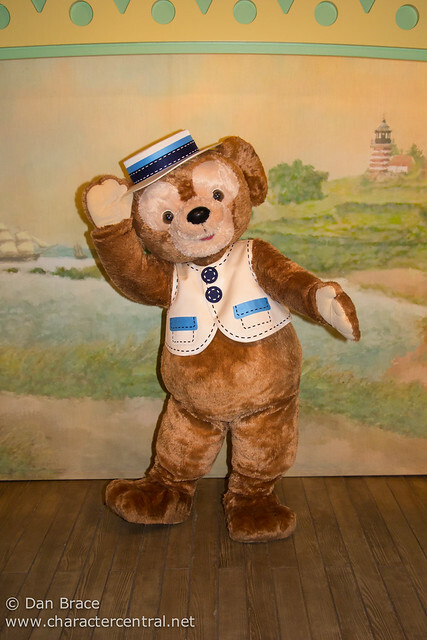 ShellieMay is there for the first half of the day (usually from park opening until around 3pm), and Duffy arrives after ShellieMay finishes, and stays until park closing. 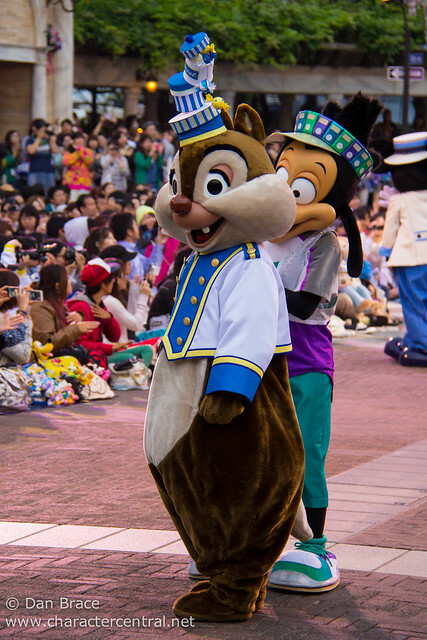 They do not greet together, sadly (because if they did the line would be five hours long all day). 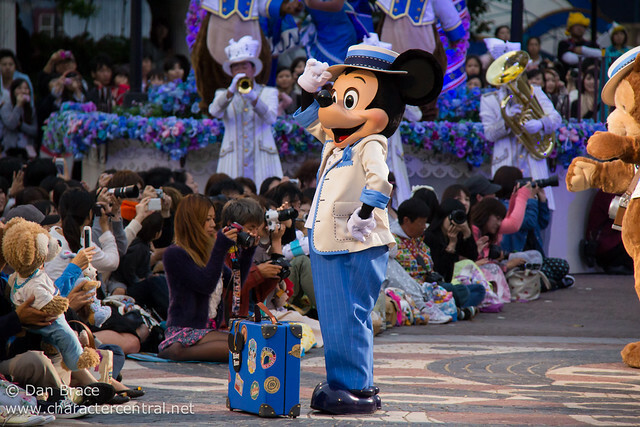 It should be noted that Tokyo Disney Resort strictly enforce a "one photo per family" rule for all set greeting locations. 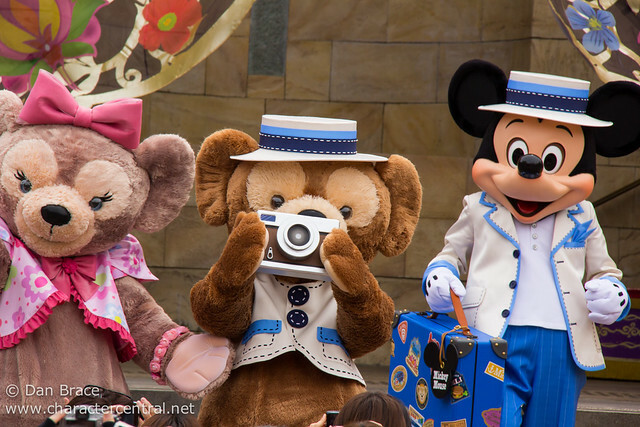 This means that you will only be able to get one photo of the character with your own camera, whether that be you taking a photo of them, or you being in the photo. 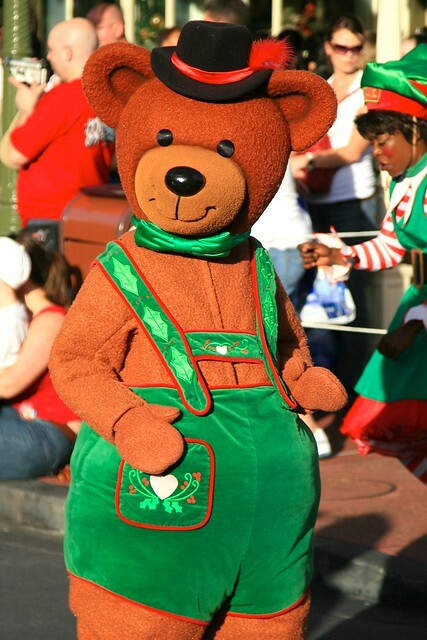 However, there is a slight quirk to this rule. 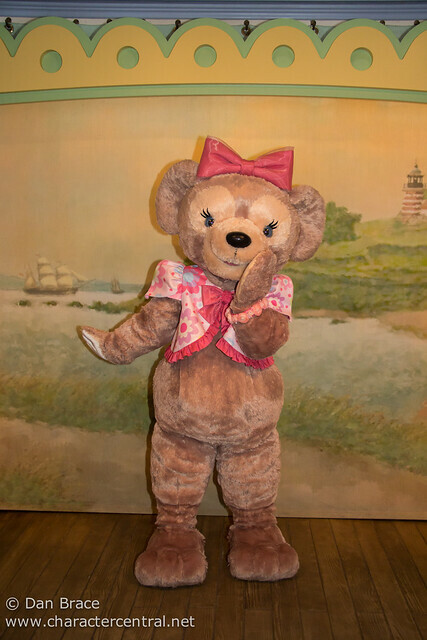 If you purchase their PhotoPass photo then you can take your own photo (still only one), and they will take your photo, which then you can purchase later. So, if you want a picture of the character and with the character, take your own and ask to be in theirs. 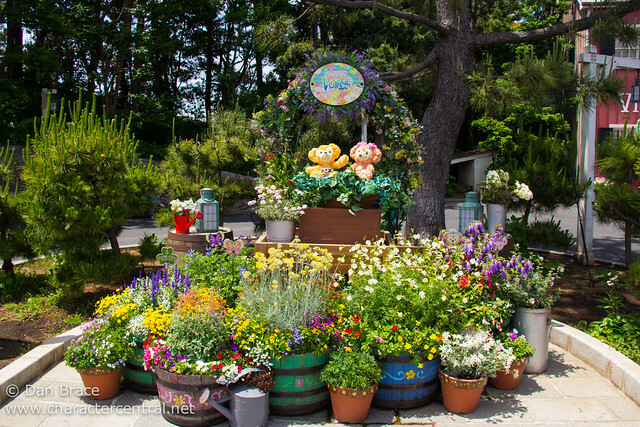 The park is decorated with colourful spring decorations, including many plants and flowers. 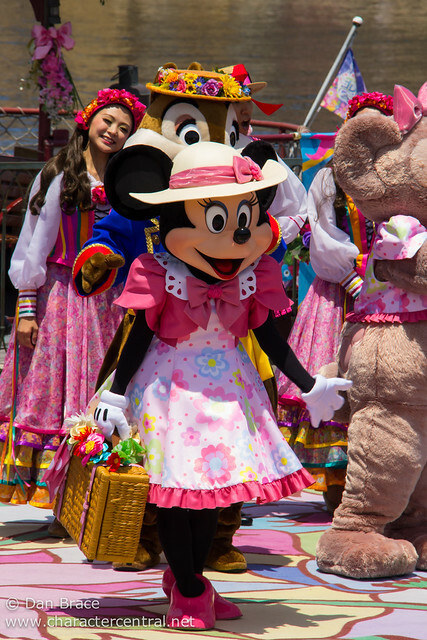 The Japanese just love all things cute and spring brings the perfect opportunity to sell a wide variety of colourful merchandise. 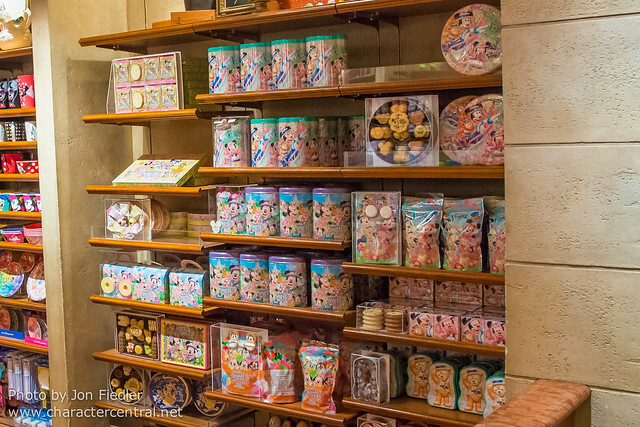 Just like the merchandise, the Japanese love to eat food that is "kawaii". 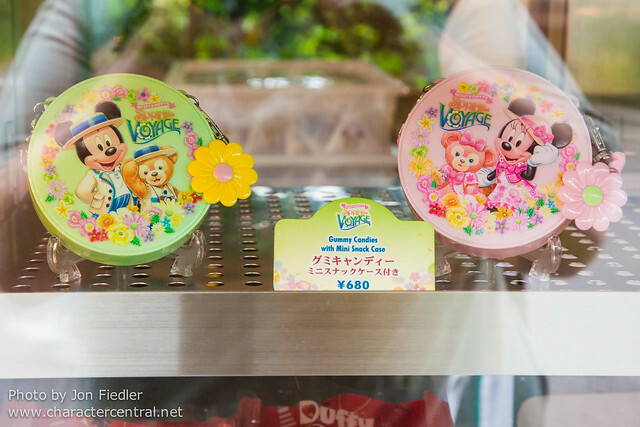 The Japanese love little themed tins filled with chocolates and sweets, so you'll find tons of Spring Voyage ones everywhere! 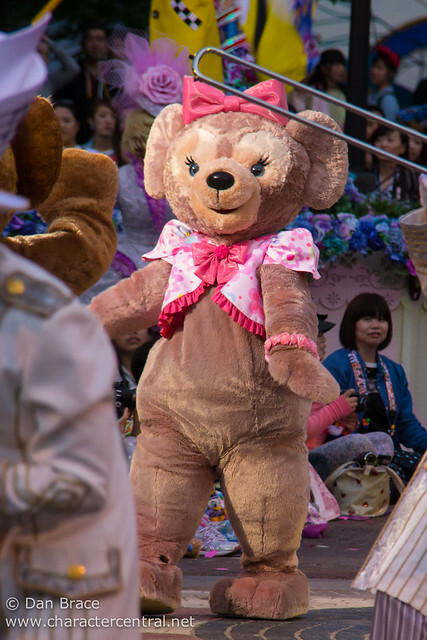 Ok, that's everything! 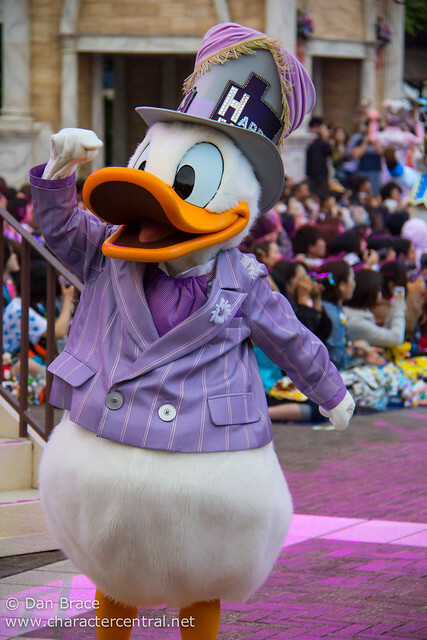 If you have any questions please go to the forum discussion for this entry and ask there. It's the 10th December, which means it is time to open the tenth door of our very special Character Central Advent Calendar! 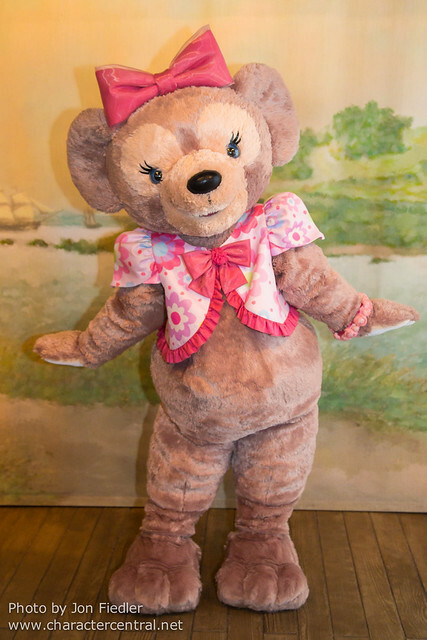 Click to find out who it is today! 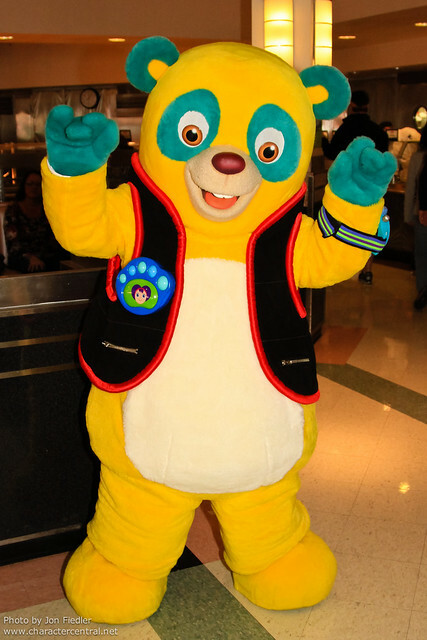 Today is recognised as being Plush Animal Lover's Day, a day where you can celebrate the cute, loveable joy of your furry friends! 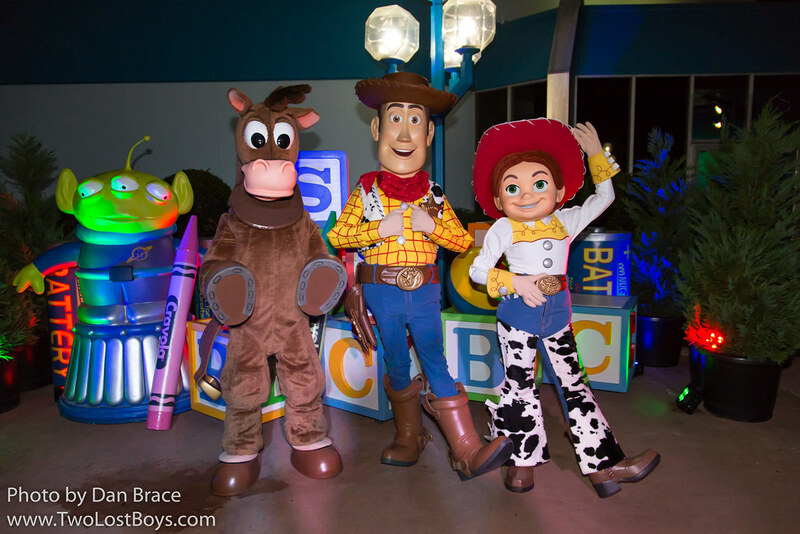 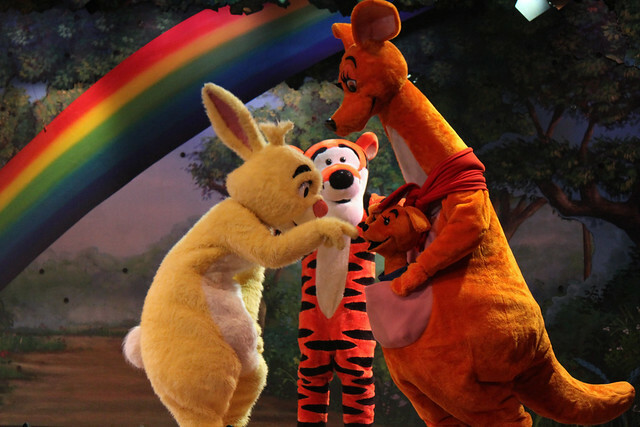 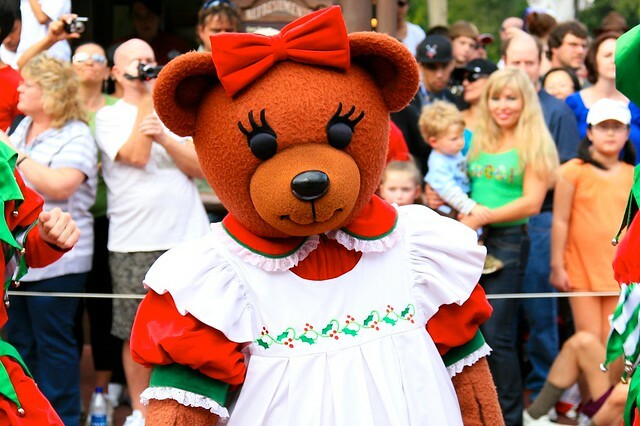 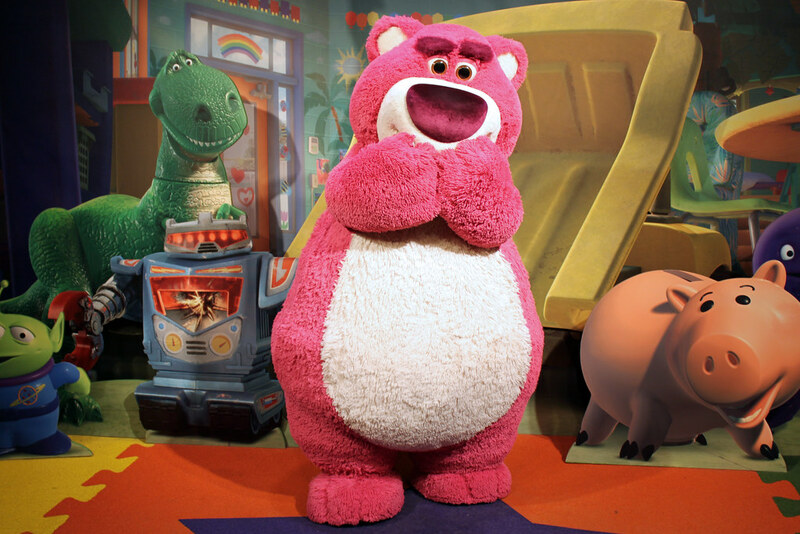 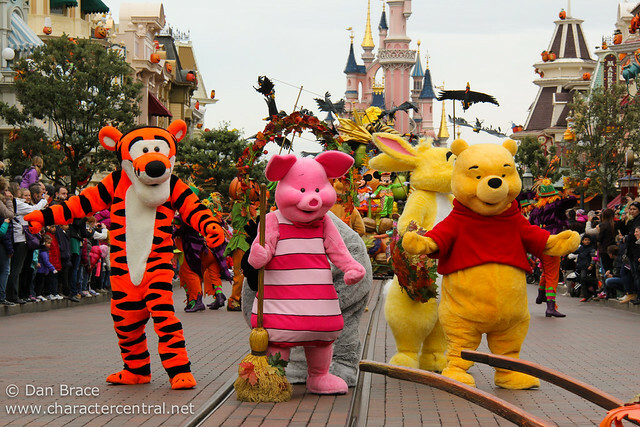 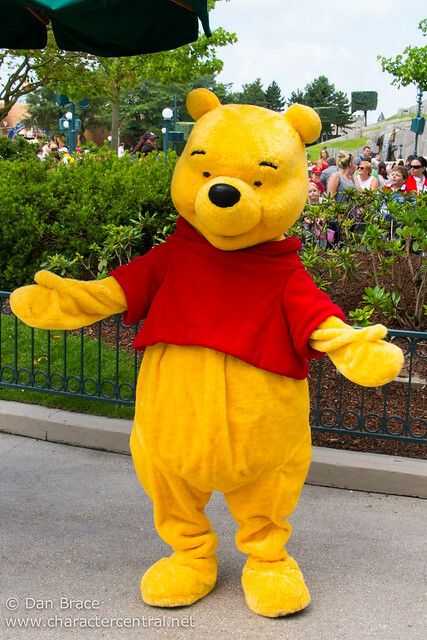 There are some very special Disney Characters who themselves are plush animals, such as the likes of Winnie the Pooh and all his friends (they are Christopher Robin's stuffed animals), Agent Oso, and Mickey's teddy bear Duffy (who was created for him by Minnie). 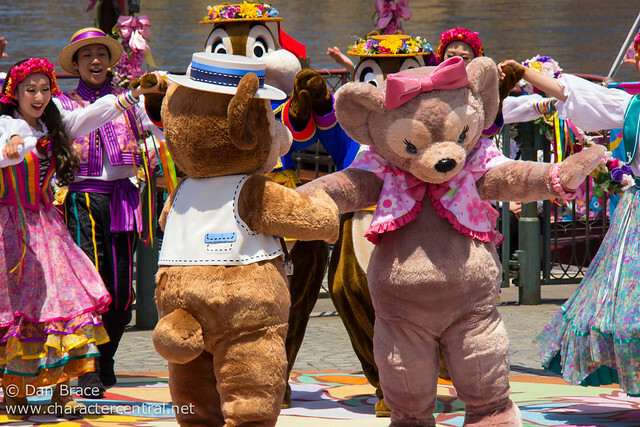 So, in our usual Character Central style, let's celebrate the day with a photo cavalcade of some of Jon and I's adventures with the adorable, and very huggable, plush Disney friends throughout the years! 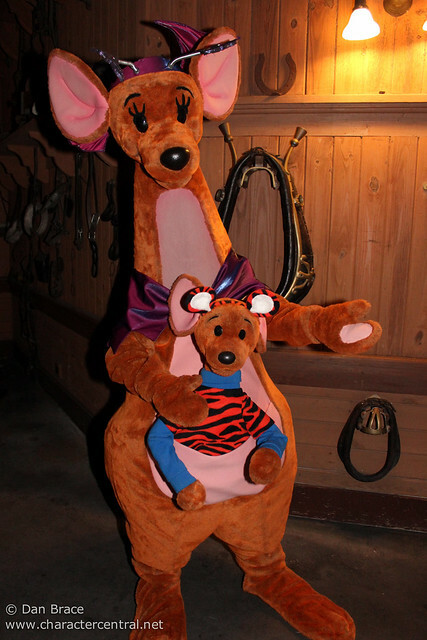 Happy Plush Animal Lover's Day everyone! Today is the first of December, which means it is time to open the very first door of our Character Central Advent Calendar of the year! 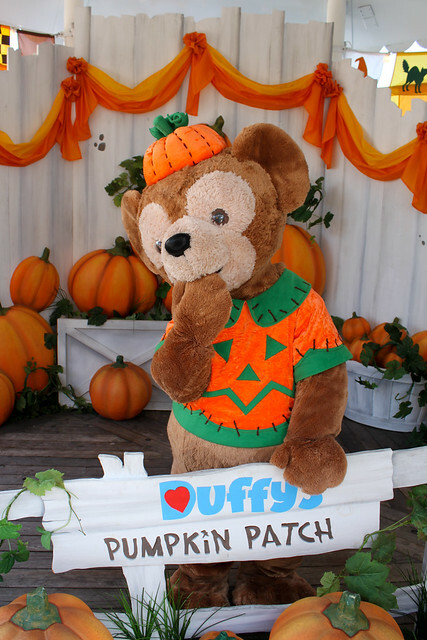 Today (October 14th) marks the second anniversary of the launch of Duffy the Disney Bear on a permanent basis at the US Parks (WDW and DLR). 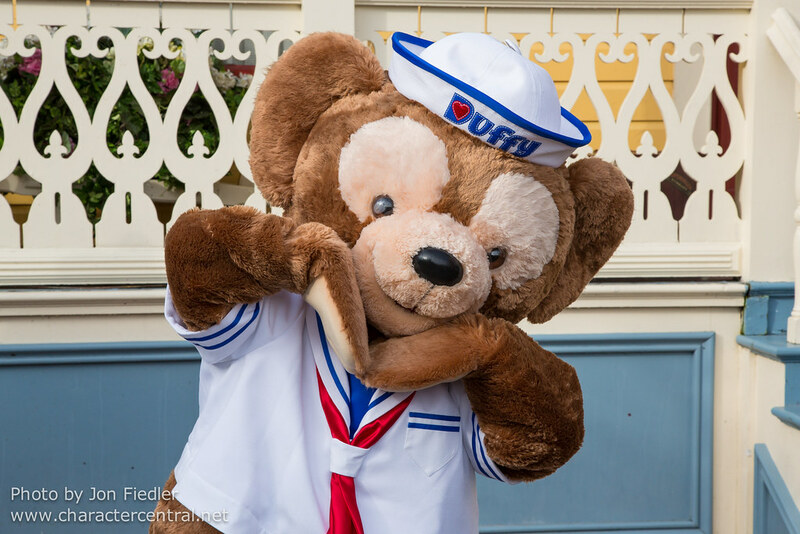 Duffy is one of Mickey Mouse's best friends, and was created by Minnie for Mickey when he went on a long sea voyage, to keep Mickey company. 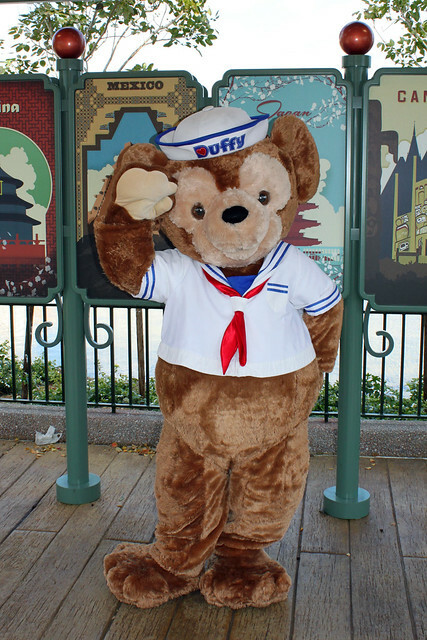 Duffy is soft, fluffy and always very happy to give you a hug. 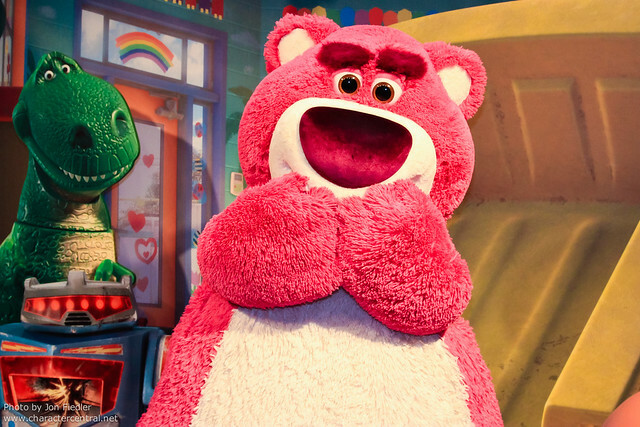 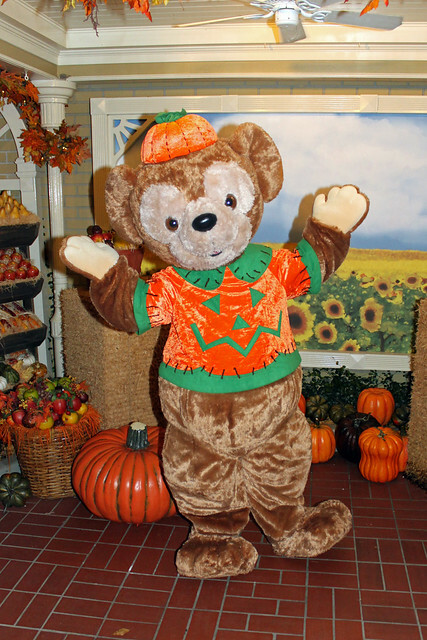 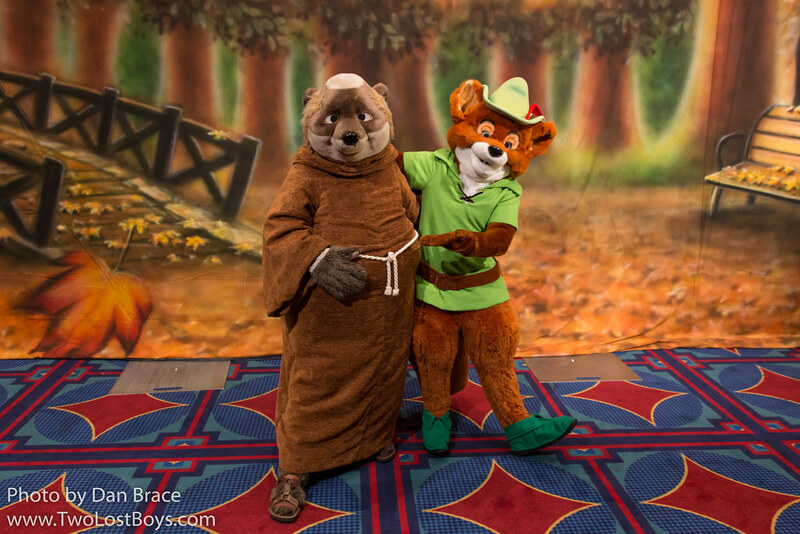 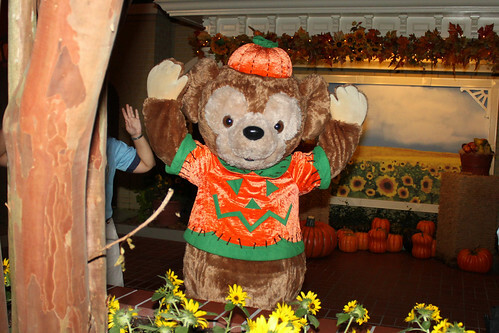 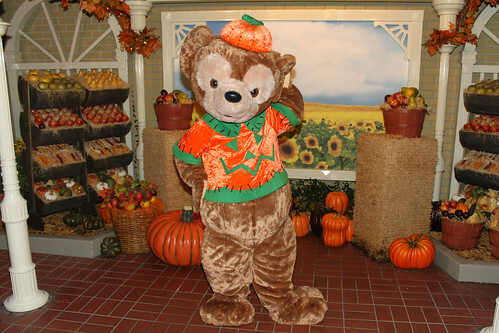 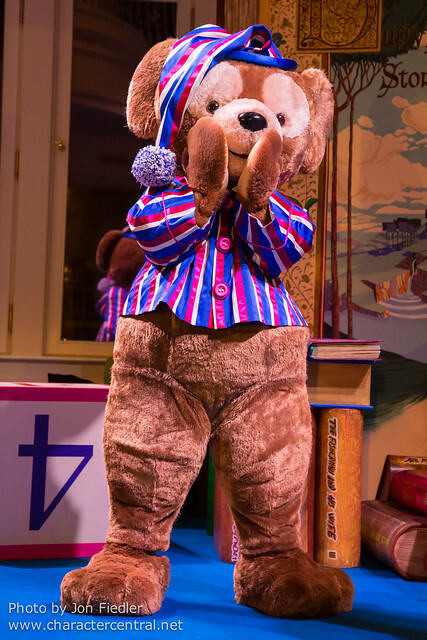 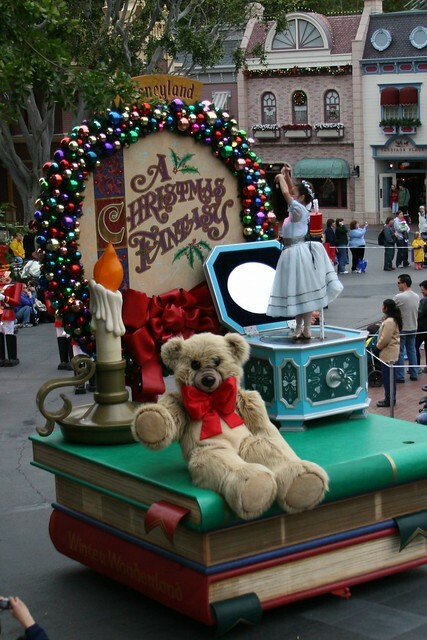 With open arms and gentle paws, Duffy is not just a teddy bear, he is THE most loveable, huggable Disney bear. 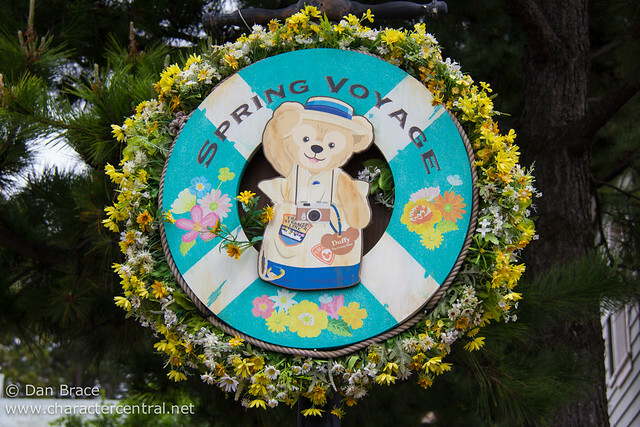 The pictures below are just from the US Parks, as it is ONLY his anniversary in the US today.